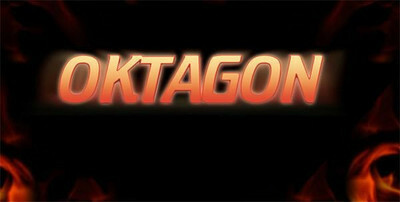 The March 12, 2011 event will begin in Milan, Italy at the PalaSharp for the 2011 edition of Oktagon. This year the event becomes part of the new professional circuit called FIGHT CODE. Apparently, this is a fight circuit that first started in Sweden, then next is Turin Thai Boxing Mania and continues on with Oktagon and other events in Europe. Two very familiar names from Italy are the brothers Petrosyan: Giorgio and Armen. Facing Giorgio Petrosyan will be the 2010 King’s Cup runner-up Cosmo Alexandre. Cosmo has stayed busy with fights internationally both in Muay Thai and kickboxing rules and in the Dutch It’s Showtime events. And seems to have gone on from strength to strength. Petrosyan is now a well known name among kickboxing fans. Giorgio Petrosyan has been a fast rising star and last year won the K-1 MAX championship. Petrosyan in the past has been plagued with hand injuries that resulted in missed fights and it will be interesting to see if his injury plays any role in his upcoming fight with Cosmo Alexandre. The card looks impressive and at the moment it features some of the biggest names of the international Thaiboxing circuit.